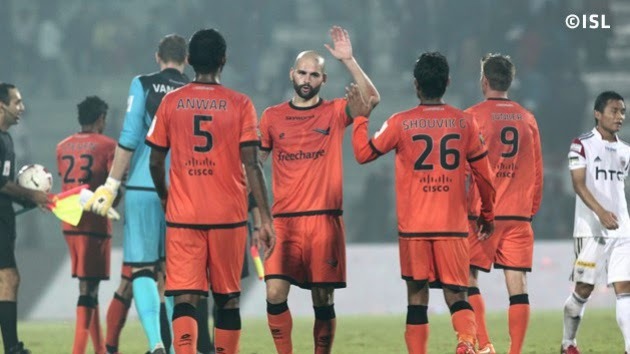 Delhi Dynamos revived their hopes of a place in the top four by beating NorthEast United 2-1 in a vital tenth round clash of the Hero Indian Super League on Monday night. Gustavo Dos Santos and Hans Mulder scored two early goals for the visitors while Kondwani Mtonga pulled one back late for the home side at the Indira Gandhi Athletic Stadium in Guwahati. The win takes Delhi to 10 points and seventh on the table and condemns NorthEast United, also on 10, to the bottom, based on lesser number of goals scored with the goal difference being the same (-2).